You are here: Home / Sports / What a difference one game makes. Along with injuries and signings, Chiefs make 15 roster moves in one day! What a difference one game makes. Along with injuries and signings, Chiefs make 15 roster moves in one day! 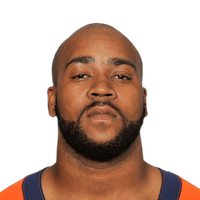 With defensive players Mike DeVito and Derrick Johnson being placed on injured reserved, Chiefs GM John Dorsey went out and signed seven-year veteran defensive lineman Kevin Vickerson. He’s 6-5, 328 and has played in 71 games (43 starts) in seven seasons with the Denver Broncos (2010-13) and Tennessee Titans (2007-09). Wide receiver Dwayne Bowe returns to the 53-man roster from suspension as nine other moves were made. Daniel Sorensen S 6-2 208 BYU Colton, Calif.